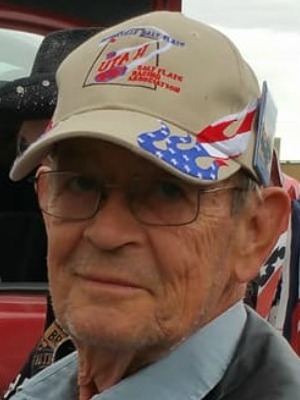 FORT WORTH-William “Bill” Huett Collier, 75, died peacefully with children by his side on Monday May 28, 2018. In the days preceding his death he was surrounded by his children, companion, and siblings, many of whom came from afar to be with him. Service: will be held at The Dallas-Fort Worth National Cemetery at a later date. Bill was born on 12/08/42 in Greenville, Kentucky to William Taylor Collier and Ruth Lillian Agee Collier. He was the oldest of four children and spent his childhood in Evansville and South Bend, Indiana. He was extremely close to his Grandmother, Minnie Bell Smith who taught him to read at an early age. Bill enlisted in the Indiana National Guard during Vietnam. He was deployed three times in the 101st Airborne Division where he earned a battlefield commission and became an officer. He then went regular Army and kept his commission and went to Officer Candidate School. He had over 70 jumps during his career and was very proud that he qualified as an Airborne Ranger and Pathfinder. After achieving the rank of Major he shifted from Infantry to Logistics and went to Quartermaster school. He earned two masters degrees during his time in the service. He served overseas in Vietnam, Italy, Korea and Panama. He retired from the Army as a Lieutenant Colonel after 26 years of service. He continued serving his country as a civil servant in GSA. Bill loved motorcycles and was an avid biker in the early 60’s and again from 1994-2017. He regularly crossed the country on his bike to go visit his family. He also visited the Salt Flats in Utah many times with his companion Patti. The family would also like to thank the caregivers at Community Hospice in Fort Worth for the wonderful care provided not only to Bill but his family during those last few days. Bill was a beloved brother and Father and is predeceased by his parents, and wife Melly. Survivors: Bill is survived by his children, Gina Collier of Louisiana , Chip Collier and Carrie of West Virginia, Alex Collier and Jennifer of Virginia and David Collier of Virginia. Bill was blessed to have many grandchildren; Dylan Collier, Katiemae, Sarajane, Hank and Rubyanne Collier, Andrew Walker, Reanna, DJ, and Pamela Black. He is also survived by his siblings; Darrell Collier and Judy, Bruce Collier, Pamela Pontius and Mike all of Indiana. He also leaves behind several nieces and nephews. Bill also leaves behind his special friend and companion Patti Stephens. The post William “Bill” Huett Collier appeared first on Brown Owens & Brumley Family Funeral Home & Crematory.